Isn't it so true! Reading of all kinds feeds imagination, curiosity and knowledge. I know I will read a novel and then find I want to know more about something raised in the novel so off I go and read some more to satisfy the curiosity. It is always great to have a younger reader have their curiosity aroused by a novel and then come to the library seeking more information. Fiction feeds curiosity like nothing else. Hope the week gets better! Fiction can be such a useful tool for engaging students with various topics. How much social history do we learn from Jane Austen, or seafaring history from Ballantyne...? And, as you say, one book leads to another, and another...Helene Hanff in 84 Charing Cross Road is a dining example of a literary snowball effect!! Media training day today (blogging, among other things) so a work day, but not the office, so an improvement overall, thank you. I've heard you say that before about the many lives we get to experience as readers. For myself, I think it's more the many worlds that open up via the books - but in essence, we're coming from similar perspectives. All the digital stuff can offer information and entertainment, but I don't find, for myself, that it takes me somewhere else - which tallies with the comments I hear from tv junkies about watching tv to 'switch off' - hence the zombie couch potato cliche! That quote is so true! 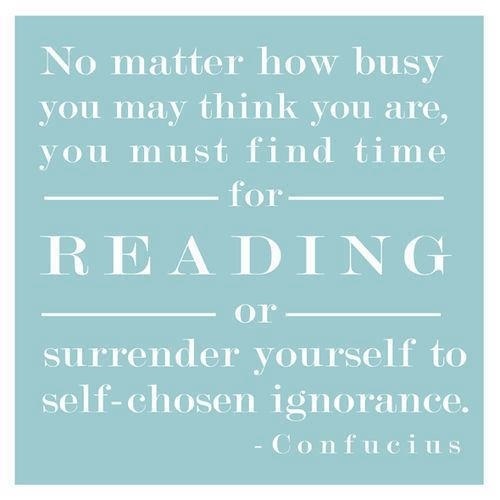 When I discuss my reading with other people they always say 'but how do you find the time?' 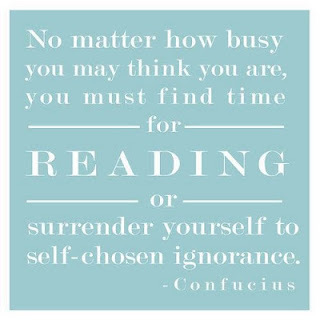 Easy - I don't have a lot of free time but I prioritise reading over say, watching the TV or playing the Xbox (both of which I do as well, I don't want to sound like a snob!). And fiction is so worth reading. I read fiction and non-fiction and neither is 'better' than the other. Too true - it's all about priorities. I travel three stops on my usual train commute - not very far. If I'm organised, I knit scarves - short rows, surprising how much progress can be made!! However, I ALWAYS have a book in my bag, and a chapter can be read in that time too. Even at the busiest times, there are always odd moments to escape into a book - if you look for them. I read everything - fiction, non-fiction, poetry, biogs, essays, articles... There's always something of value to be enjoyed.